For the second in the series we welcome Michael Crow (@mcblade1991) to A United View to tell us about his Favourite Blade. Given recent events this might be viewed as a controversial selection and to be fair to Michael, he wrote this prior to Beattie's red card at Exeter which saw him suspended for the Play-Offs. As ever, if you want to share your memories of the player, add them in the Comments section below. Bryan Robson didn’t do many great things in his relatively short time as Sheffield United manager, but one could argue that his best move was bringing in the £4m hitman from Everton. The reason James Beattie is my Blades Hero is that I wasn’t fortunate enough to remember the likes of Brian Deane in their prime, and in my time as a Blade, Beattie was the first man to hit 20+ goals in a season. Add into that his relationship with the supporters, who would frequently chant “na na na na Beattie” to the tune of Hey Jude, along with 22 strikes in his first season at the club and for me, the Blades had a talisman and a hero to back. He was a goal scorer, a constant threat in the box, and on his day an intelligent player. One of these 22 strikes will live long in the memory for me and I’m sure most other supporters. The particular strike in question came against our bitter rivals from S6, 2-1 down with five minutes to play and the Blades were piling on the pressure but to no avail. Five minutes to go, United had a free kick 30 yards from goal. A brave man needed to take it. It was the moment most footballers probably dream of, the type of moment you would see in a Football Hollywood blockbuster and up stepped James Beattie to smash it in. From the moment he hit the ball, from my seat just behind the goal on the Kop, you knew the ball was in. I thought Michael Brown’s volley against that lot in 2003 would take some real beating but Beattie managed to surpass that for me. To this day, it remains my favourite goal that the Blades have scored against them. He also scored a very similar goal to this in a 2-0 home victory over Plymouth Argyle in the following season. The next season, after being out for the first month with an injury, Beats returned to the side and continued his form in the same vein, scoring his first goal of the 2008/2009 season in a 2-1 victory over Watford. 11 more strikes would follow this before a controversial £3.5m January transfer move to newly-promoted Premiership side Stoke City, who were aiming to retain their status in the top flight. I remember the day that I heard the news. I was in college in an English lesson sat next to my friend who was also a Blade, and I had my iPod on the radio. 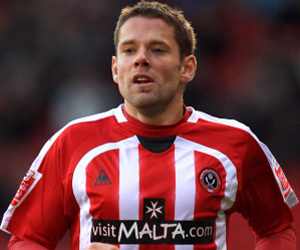 The sports news bulletin announced that Beattie was set to move to the Britannia Stadium. I will always remember the disappointment I felt when I heard that news, I said to my friend something along the lines of - “I can’t believe it, we’re selling our top scorer when we’re aiming for promotion”. Some girl sat next to me got sick of my ranting that much she told me to “shut up moaning, it’s only football”. I only wish that were the case! Kevin McCabe would receive much criticism, as the then manager Kevin Blackwell also seemed very reluctant to lose him, whilst Beattie himself suggested that the Bramall Lane hierarchy had wanted to sell him, possibly due to his high wages. Needless to say, most Blades fans (admittedly me included) were up in arms about the sale and thought the season was over in January. Either way, Beattie went on to fire Stoke to safety and against all the odds after losing him, the Blades would have a strong second half of the season, finishing 3rd. In fact, in a televised game on a Monday night at Burnley, Beattie was spotted in the crowd cheering on his old team-mates. 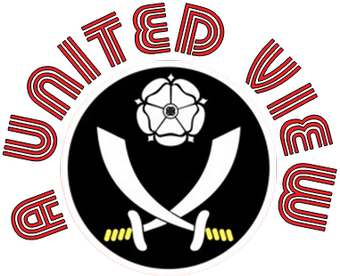 Once a Blade, always a Blade. Furthermore, a lacklustre performance in the play-off final a few weeks later against the same opponents showed how much Sheffield United could have done with his presence, in a game where his on-loan replacement and namesake Craig Beattie failed to make his mark. Beatts then fell out of favour at Stoke, whilst moving north to Rangers, spending time on loan at Blackpool before arriving back at Bramall Lane to boost the Blades firepower as they sought to get out of League One at the first attempt. Personally, I was delighted to see Beattie return to the club in November last year, but I always sensed that he was never going to be the Beattie of four years previous. However, despite the old adage of ‘never go back’, and the fact he hasn’t made the impact he made in his first spell at the Lane, he will always be one of my Blades heroes.